In celebration of a new season and a new quarter ahead, I’ve written this article with the intention to offer a fresh perspective on how to approach your visual brand. When I think of Spring, I think of rebirth, growth and blossoming. 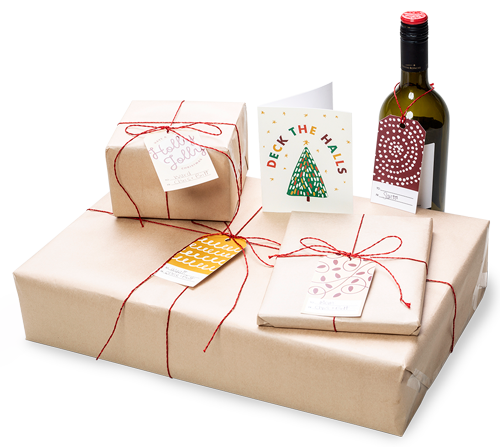 Your visual brand, like the seasons, will need to constantly evolve throughout its lifetime. I’m proud to say that I’ve spent the past decade building strong brands that have value, purpose and contribute to greater good within the communities they are part of. When I reflect over the last ten years of my career, one of the most powerful insights I have learned is that Your Position is Your Power. Think about Apple, Nike or Coke to name a few. Something that all these brands have in common is that they have strategically plotted their position in the market while constantly evolving their visual brand to serve the purpose of their position. 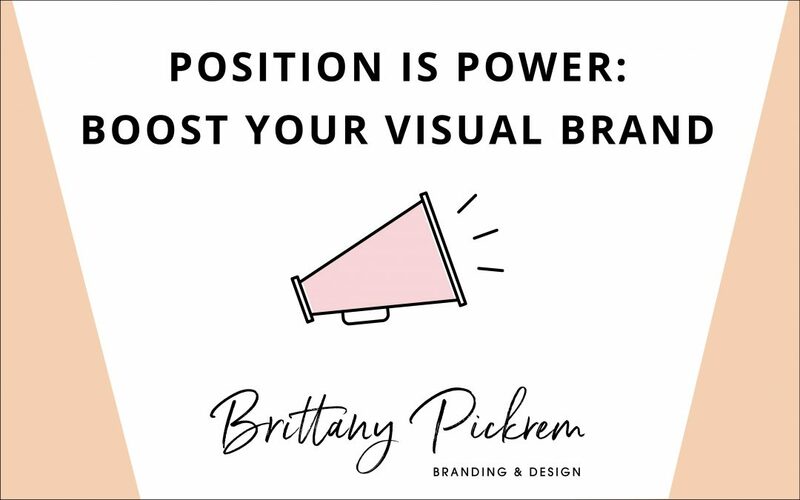 If you check out my videos or posts you’ll notice that I always talk about the importance of showing up and standing out with a strong visual brand. 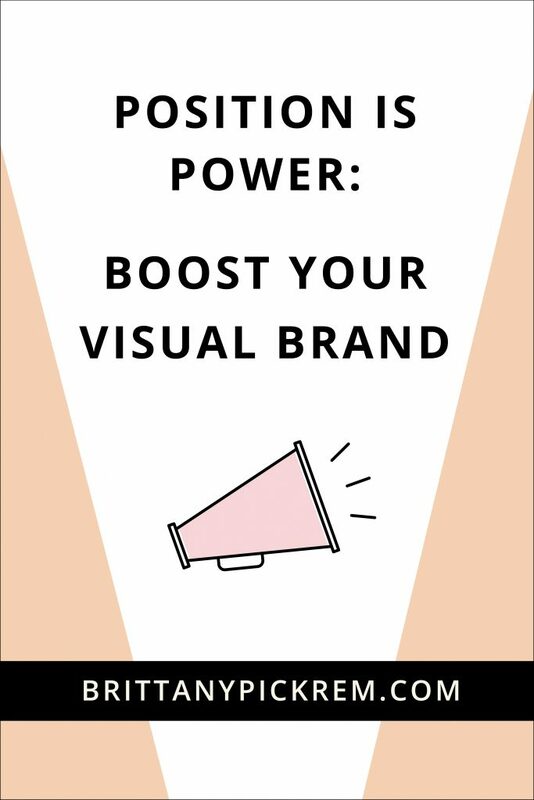 However, it’s impossible to have a strong visual brand without first putting in the crucial work of developing your brand’s position. You might be wondering why positioning matters so much, let me give you an example. Having a poor position (or no position) is like standing in a crowded, noisy room and shouting above the noise. Having a great position, on the other hand, is like standing in that same crowded, noisy room but being equipped with a megaphone. Position amplifies your presence. If the thought of figuring out your brand position on your own is a bit daunting, that’s understandable, but not to worry, I’ve got your back! What Makes (or Breaks) Your Brand Position? The mantra for real estate agents is ‘location, location, location’, this should also be your mantra while working on your brand’s position. It’s all about finding the sweet spot for your business to occupy in the market. Where will you stand out the most? What do you offer that no one else can? What need can you fill that is currently underserved or not served at all? It’s likely easier than you think to determine your brand’s position but it requires focus, intention and some research. There are a few key things to consider when planning your position. Your ‘Why’ determines your brand’s authenticity and authority which will set you apart from your competition. Ultimately, it may be the reason why a customer would choose to work with you as opposed to someone else. Being able to articulate your offer to your customer in a clear and concise way is SO important. When working on this step, remember that you want to choose clarity over creativity to avoid confusing potential customers. The more you think of your brand as a living, breathing human, the better. A brand is little more than what your audience (customers) perceive it as. Your brand is also typically the first interaction a customer has with your business so choose your brand personality wisely. How can your brand be heard if doesn’t have a voice? Your brand voice is the written or spoken expression of your brand’s personality and values. Your brand voice sets the tone and mood of your message. How you sound will ultimately be a deal-breaker for converting leads into sales. To be competitive you must know your competition. Researching your direct competition gives you the best shot at determining your place in the market and standing out with a unique product, service, and brand. Your brand needs to be able to reach and resonate with your ideal customers so that you can effectively sell your products or services to them. To do this, you need to understand who your ideal customers really are. Often times, when a visual brand is lacking in some way it usually has little or nothing to do with the visual brand at all. It’s typically a problem with your position. When a visual brand is poorly positioned a few undesirable things can happen. The logo might appear disconnected from the brand message. The colours might be ‘off’ or the fonts aren’t quite right. These are common visual brand problems that can be traced back to poor brand planning and position. When I encounter a visual brand that doesn’t quite work or is ‘off’ in some way, more often than not, the visual brand was developed before the brand position. If you are creating a visual brand without a brand position, it’s the equivalent of taking a shot in the dark and hoping for the best. Without a position, you are without power. How will you stand out from your competition without a position? You cannot have a great visual brand, without first deciding on your position. When your position is not on point, your visual brand cannot be competitive, effective or smart. The good news is that you don’t have to be a brand expert to start laying the important groundwork for a great visual brand presence! I’ve noticed that many of my clients struggle with creating their brand position on their own. 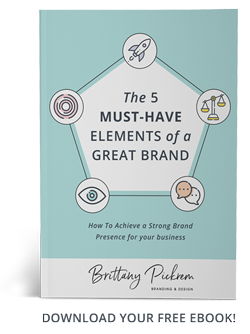 I’ve developed a workbook to help guide my clients through the brand position process. I’m happy to say that I’ve turned this workbook into a completely FREE resource that you can download and work through at your own pace and you don’t even have to be my client! 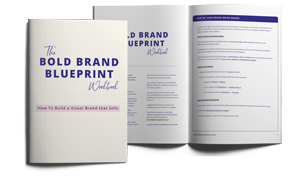 Download your free copy of the Bold Brand Workbook to start building a strong brand position and visual brand presence for your business. Cheers to your best brand yet!